This is Halloween, this is Halloween, Halloween.. Halloween.. Halloween.. Did you sing that in your head, too? 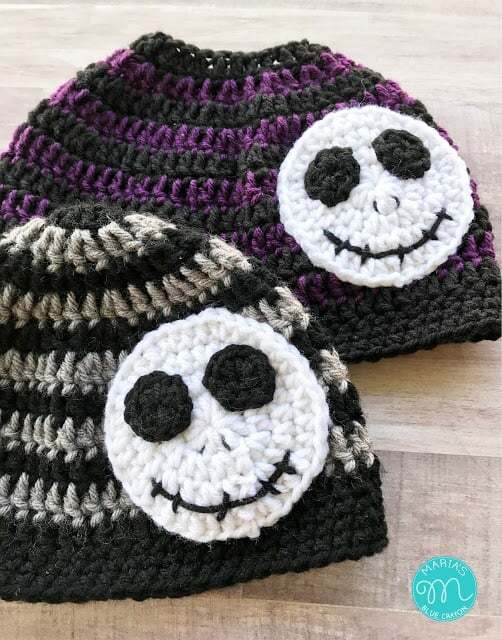 So you’re a Nightmare Before Christmas fan, too? I’m a fan of the movie and it’s totally appropriate to watch from now until the end of the year! (Or all year round, right?) 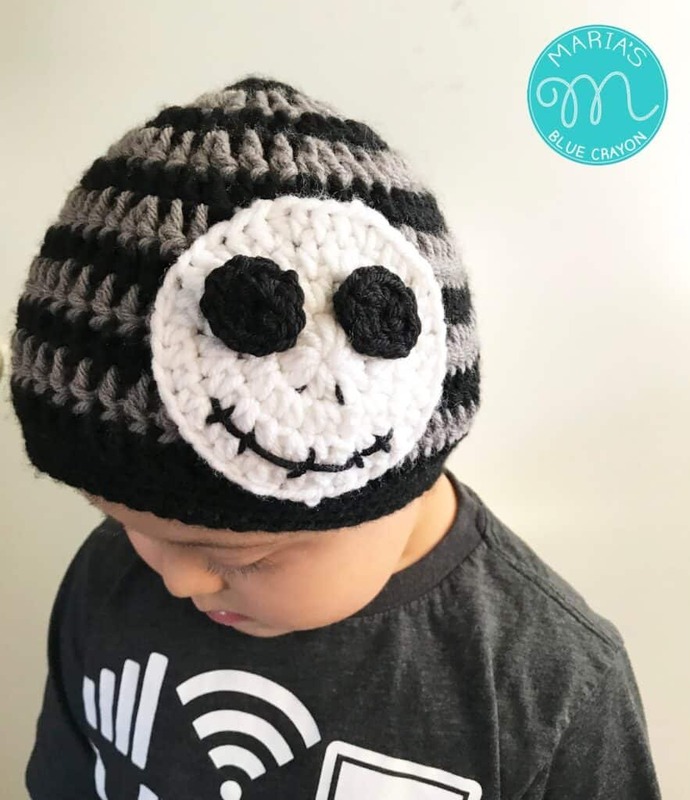 My son is also a fan of the movie so I made this beanie with a Jack Skellington applique. 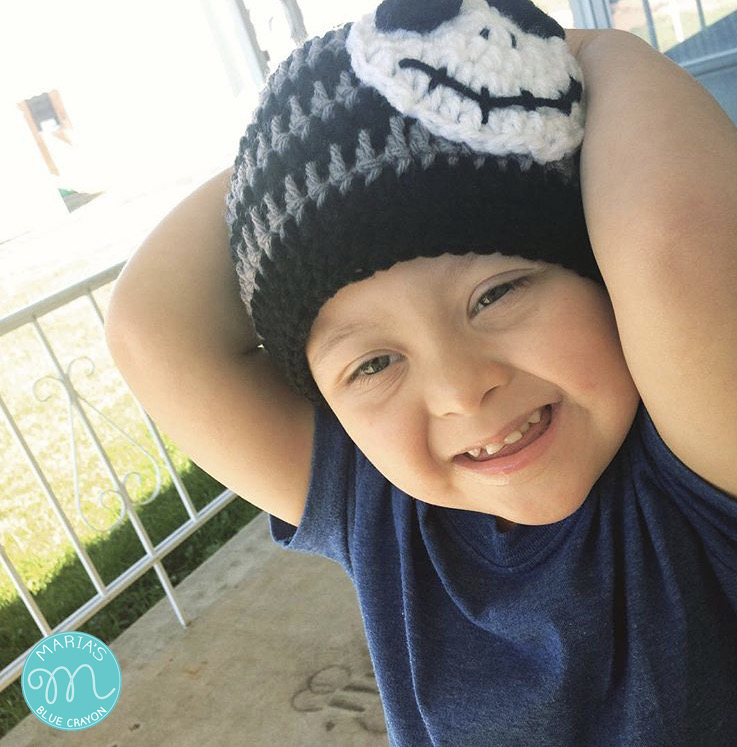 This beanie was made last year (photo below) for him and it was something I sold at the time when I wa I sold quite a few, so I thought I would share the pattern with you all this year now that I have my own little blog to do so! 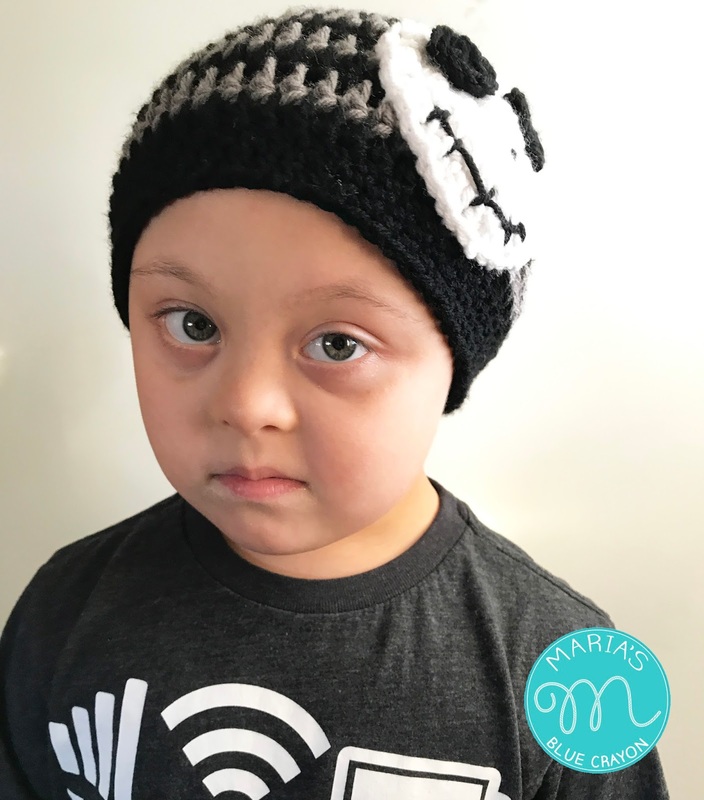 I wrote up the pattern in multiple sizes: 6-12 months, toddler, child, and adult. Check the parenthesis for head circumference to pick the best size you need. Update: I made a matching beanie for myself in a messy bun beanie style! In our case, it is a ‘mommy and me’ set. Both patterns are written in multiple sizes! Sharing in any way helps my blog going and free patterns coming – thank you! PURCHASE THE AD-FREE PDF DOWNLOAD/PRINTABLE FOR 6-12MO. – ADULT SIZES. 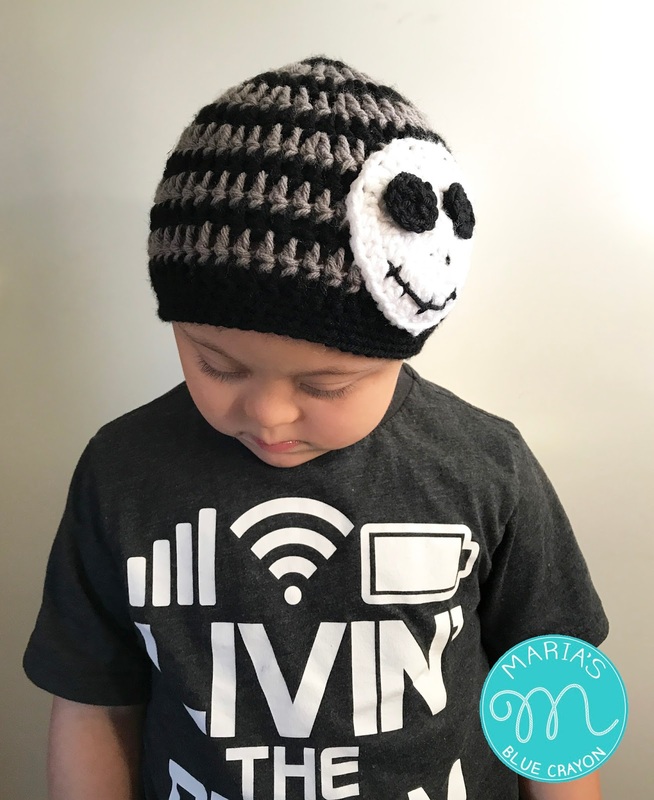 Sew applique onto side of hat. Please share with me on Instagram or Facebook with your finished works! I would love to see them!! Wow, that took alot of time and work into making all the patterns in every size. Thank you for that! 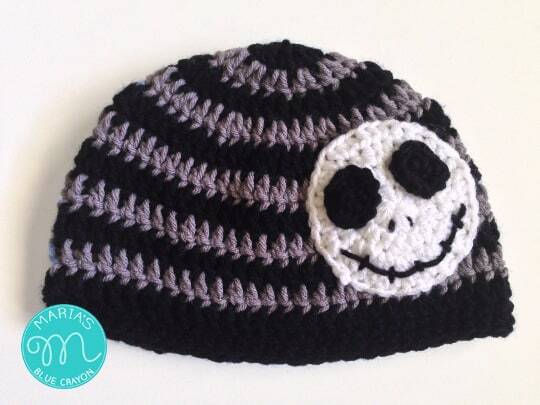 My daughter loves Jack Skelton and this could easily be made to look like him. Can't wait to try it! SOO CUTE!